I started with Special FX in a traditional way, and right now I want to start to combine this together with Unity particles to push my effects to the next level. I’ll drop all of my work here and I would love to get some feedback on my effects ! This is my first approach in Unity, right now I’m testing out all the tools in Unity. So for reference I’m looking at the dark star thresh skin fro league of legends, here I try to feel like the orb is a blackhole. As you can see I removed the yellow lightning and pulled it more to the color of the orb to give the feeling it belongs to each other, if you’ve any feedback color wise would be amazing. So far I’m having alot of fun in Unity, I try to make a variety with effects in the beginning to get the hang of Unity. I still have to learn alot about shaders etc but I’m curious how that will work out. 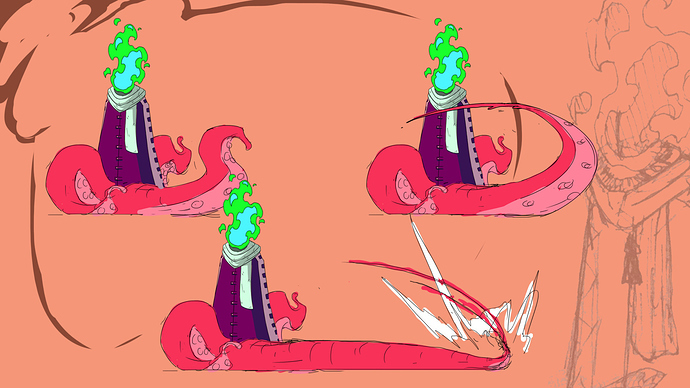 I think I’ll add ghost face sprites that twist around the tornado. I removed the wispfire and added some ghostfaces with trails, I kinda like it! And I made a much slower ghost version. I’ve been very busy with setting up my freelance network and already working on a few projects. So here I got some traditional FIRE for everybody!!! Level up animation that I made for the game WhatTheHen!. First I tryed to animate a shine over the star when it pops up, but after a few iterations it was too much effects at once so we decided to remove it. But i’m still very satisfied with the result. little facebook ad animation for the game WhatTheHen!. I had the change too use all kind of effects with this animation and give it the feeling your facebook wall is exploding. yo that robot getting zapped looks ultra cool. Do you have any gameplay videos? thanks alot! And there’s a trailer actually, it’s not very long but it can give you a slight vision of the total package with all the effects etc. I made all the effects for the game apart from the artillery kind of turret, for a more detailed look you can check out the artstation project where I have all my animations/concepts. Feedback is always appreciated !